Sir David Adjaye OBE will lecture on April 15 in the auditorium of the Student Union located at 1502 Cumberland Avenue on UT’s campus. It begins at 5:30 p.m., and doors open at 5 p.m. The lecture is sponsored by General Shale and is free and open to the public. Free parking is available beginning at 5 p.m. in the White Avenue Parking Garage, 1621 White Avenue. Adjaye’s lecture, Thinking Through Architecture, will explore the evolution of his architecture, thread together his pioneering projects by sharing their wider contextual narratives and discuss the capacity to think critically about social issues through the process of making architecture. 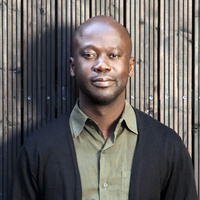 Adjaye is recognized as a leading architect of his generation. Born in Tanzania to Ghanaian parents, his broadly ranging influences, ingenious use of materials and sculptural ability have established him as an architect with an artist’s sensibility and vision. His largest project to date, the $540 million Smithsonian Institution National Museum of African American History and Culture, opened on the National Mall in Washington, DC, in fall of 2016 and was named Cultural Event of the Year by the New York Times. In 2017, Adjaye received a knighthood from Queen Elizabeth II for services to architecture and was named one of TIME’s 100 most influential people.